First Snow On Braies Lake. Colorful Autumn Landscape In Italian Alps, Naturpark Fanes-Sennes-Prags, Dolomite, Italy, Europe. Beauty Of Nature Concept Background. Fotos, Retratos, Imágenes Y Fotografía De Archivo Libres De Derecho. Image 116549843. 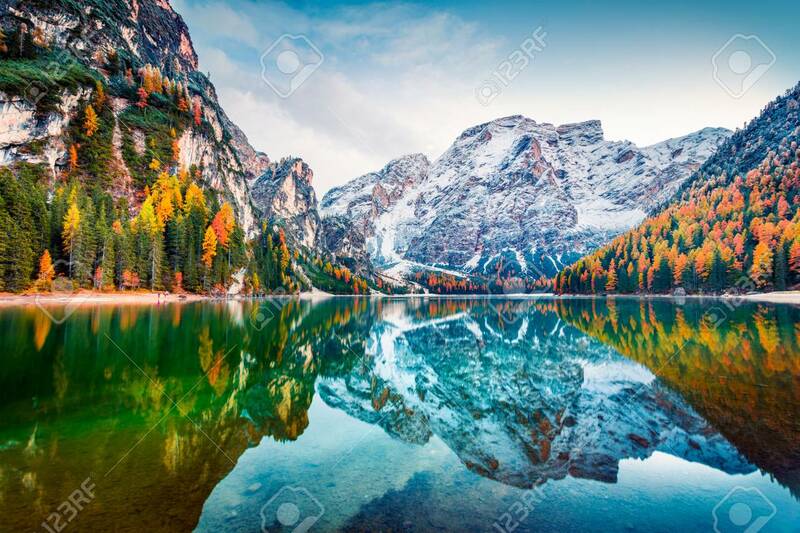 Foto de archivo - First snow on Braies Lake. Colorful autumn landscape in Italian Alps, Naturpark Fanes-Sennes-Prags, Dolomite, Italy, Europe. Beauty of nature concept background. First snow on Braies Lake. Colorful autumn landscape in Italian Alps, Naturpark Fanes-Sennes-Prags, Dolomite, Italy, Europe. Beauty of nature concept background.